With the aim to support DIES alumni as multipliers to be engaged in higher education management and to promote the sustainability of DIES trainings, the two-year National Multiplication Trainings (NMT) Programme is initiated jointly by the German Academic Exchange Service (DAAD) and the German Rectors' Conference (HRK) with funding from the German Federal Ministry for Economic Development and Cooperation (BMZ). The DIES NMT programme is coordinated and implemented by the Centre for Quality Devleopment of the University of Potsdam. For more information on the Call and the application, please visit www.dies-nmt.org. From 20th to 24th February 2017, the participants of the second ASEAN-QA TrainIQA training came together for the first time in Kuala Lumpur, Malaysia. 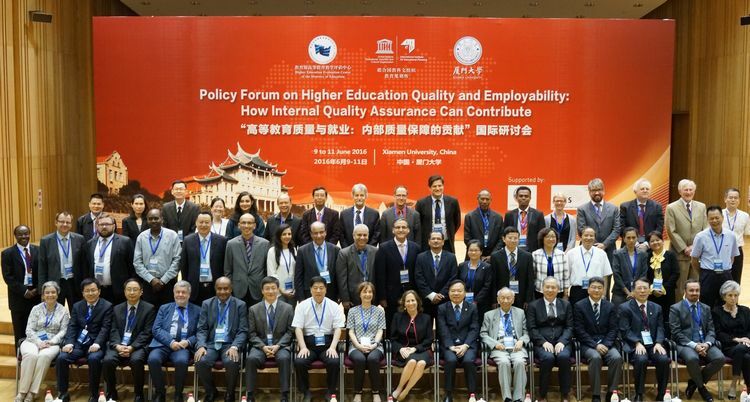 The first workshop comprised presentations of international experts about quality in higher education, quality assurance and quality management systems in teaching and learning. The participants got an overview of the aims and the structure of the training programme, which will be completed in 2018 with a final conference. Moreover, the 32 participants coming from universities from nine different Southeast Asian countries developed their individual change projects that will be implemented in the context of the training at their home institutions. Due to numerous requests, the deadline for application has been extended until 9th August! Since 2011 the ASEAN-QA partner organisations (AQAN, AUN, DAAD, ENQA, HRK, SEAMEO RIHED and University of Potsdam) have been cooperating within the frame of the DIES Programme in order to promote regional quality assurance (QA) in Southeast Asia. 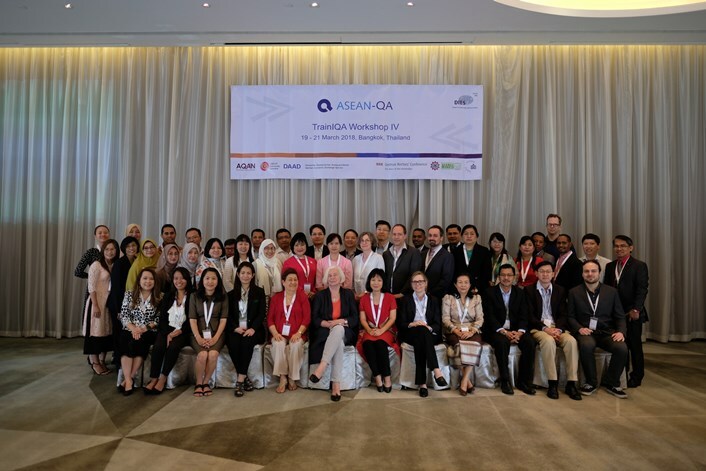 The ASEAN-QA Partners are pleased to announce a new round for the "Trainin on Internal Quality Assurance" (TrainIQA) for Southeast Asian higher education institutions. The application for the new TrainIQA cohort is open until 9th August 2016 (deadline has been extended). ASEAN-QA SQUARED is a follow-up activity of the internal quality assurance trainings of ASEAN-QA Phase I (2011-2013) and II (2014-2016). It is meant to prepare quality managers at HEIs to effectively plan and implement workshops, trainings and further educational offers to build capacity for QA and teaching and learning, and/or to support and mobilise quality processes in higher education institutions. SQUARED is mainly targeted at alumni of ASEAN-QA Phase I and Phase II but also other professionals in the field are invited to apply. Up to 20 applicants will be selected for a training workshop in Ho Chi Minh City, Vietnam from July 27th to 29th. Participants will have the chance to receive collegial feedback on their implementation and up to 6 institutions will have the possibility to receive feedback and support by ASEAN and European experts. Application deadline is May 20th, 2016. For more information, please refer to the "Call for Application" and relative application forms below. 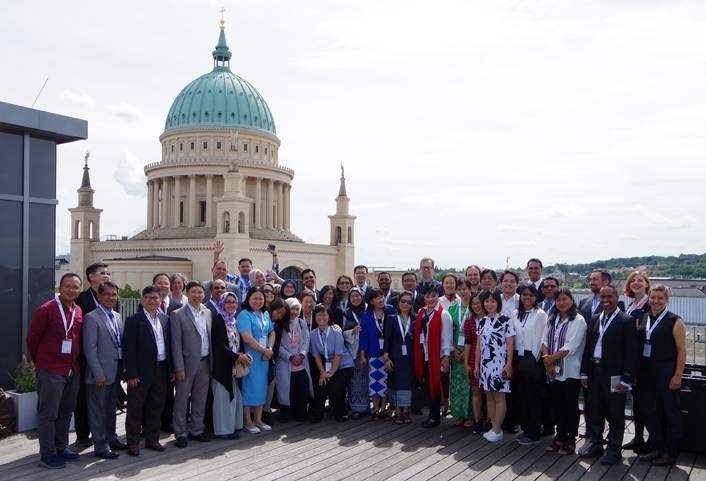 ASEAN-QA is part of the DIES programme (Dialogue on Innovative Higher Education Strategies) and is coordinated by the Centre for Quality Development at University of Potsdam which hosts the ASEAN-QA Secretariat. Any questions related to the Call can be addressed to asean-qa@uni-potsdam.de.